Getting kids to eat vegetables is top priority in eating for so many parents! So, if you are wondering what vegetables kids like, we have 9 that might surprise you! It might be easy to get your kids to eat potatoes and carrots. You may also be successful with broccoli. But there are so many more! At Super Healthy Kids, our message has always been that it’s important to serve your kids a variety of fruits and vegetables, prepared in a variety of ways, to grow kids that aren’t picky. It’s more important that kids taste and begin to appreciate certain flavors, rather than specific foods. In order to be successful you should also learn how to prepare these veggies so kids enjoy them! We’ve taken 9 vegetables that many kids actually like if you give them a chance, and with the right preparation! 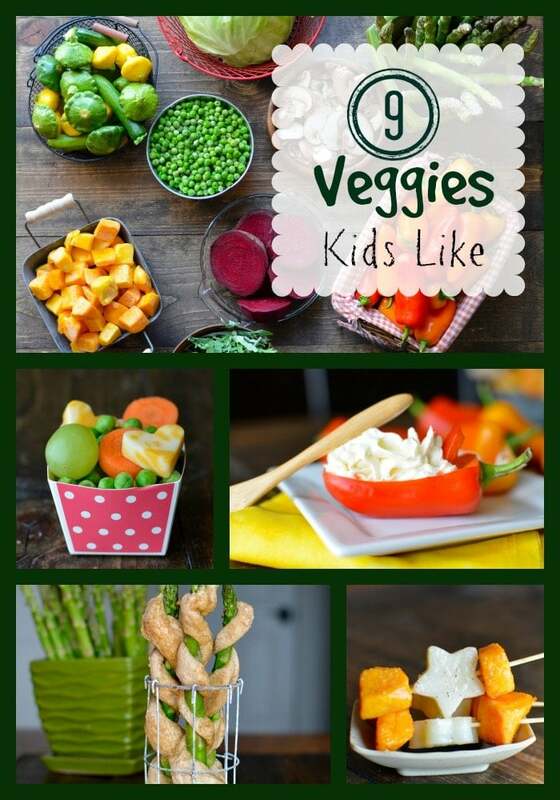 Let us know which ones you try, and other veggies your kids like that always surprise people. 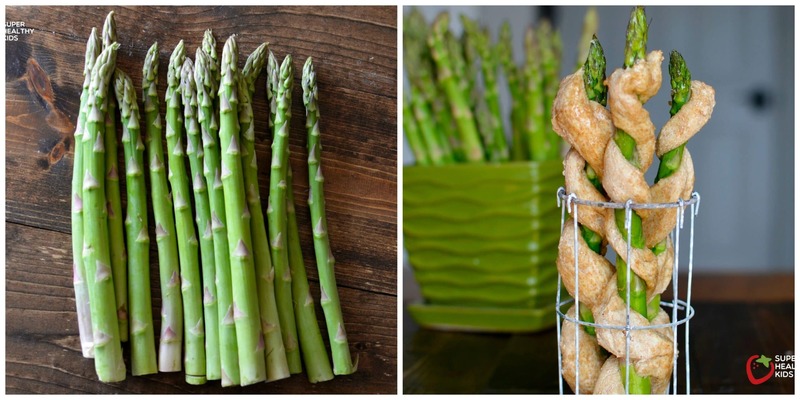 A great source of folic acid, asparagus can be delicious on salad or sauteed with a bit of butter and brown sugar. (one of our kids favorite). But we also like these asparagus sticks we call, “twigs in a blanket!” We’ve made them by wrapping bread dough around the asparagus, and baking in the oven until the bread is completely cooked. I’ve used a variety of bread recipes to make this, but this time used homemade french bread. To get the best flavor from asparagus, and to avoid it tasting bitter, the most important thing is to not over cook it! Cook till just al dente. Over cooking loses it’s flavor as well as it’s texture. One reason we love bell peppers, is that they taste great raw! Our kids enjoy them with a traditional ranch dip, but we also like them with cheese! 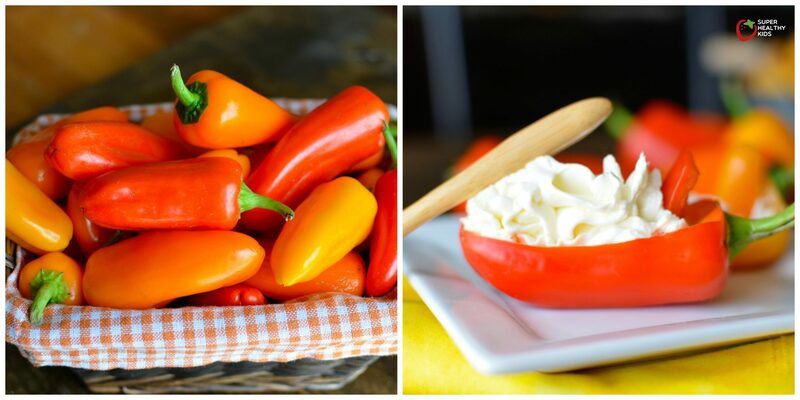 Goat cheese, cream cheese, or Laughing Cow cheese, all taste great paired with bell peppers. The rich color of bell peppers means they are full of cell protecting anti-oxidants, and beneficial for kids lungs, hearts, and vision. To make our mini bell pepper canoes, simply slice the top of a bell pepper length wise. Hollow out the seeds. With a piping bag or plastic bag, squeeze your favorite cheese or hummus into the “canoe”. Then pop in your mouth and enjoy! 10 more ways to eat bell peppers here! For the roasted butternut skewers above, we started with chopped butternut squash, then sliced and cut some potatoes. We skewered the squash and potatoes, drizzled with olive oil, and sprinkled with some sea salt. Then, we roasted it in the oven at 425 degrees Fahrenheit, for about 10-15 minutes. Once soft and toasty, they are done. An easy method of cooking this squash as well, is in your slow cooker! 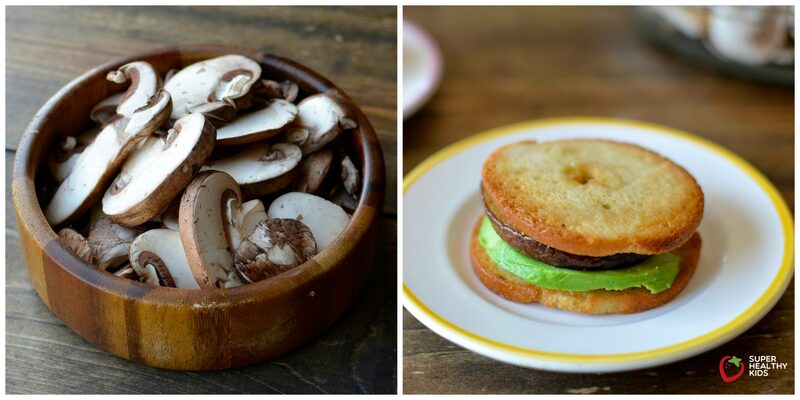 Perhaps very surprising (even to the kids themselves) is that mushrooms can be so delicious when prepared properly! An excellent source of potassium, tryptophan, selenium, and copper. As with the other veggies, the best flavor and texture comes when they are not over cooked! For this simple mushroom snack, we sauteed the mushrooms in a skillet for about 5-6 minutes. You could also grill or broil, brushed with a touch of olive oil. Then, make mini sandwiches using two crackers, and any other sandwich toppings kids like (we like avocado with our mushroom!) We have a host of other ways mushrooms are delicious for kids, including veggie stuffed mushrooms, mushroom pizza, mushroom burgers, and more! 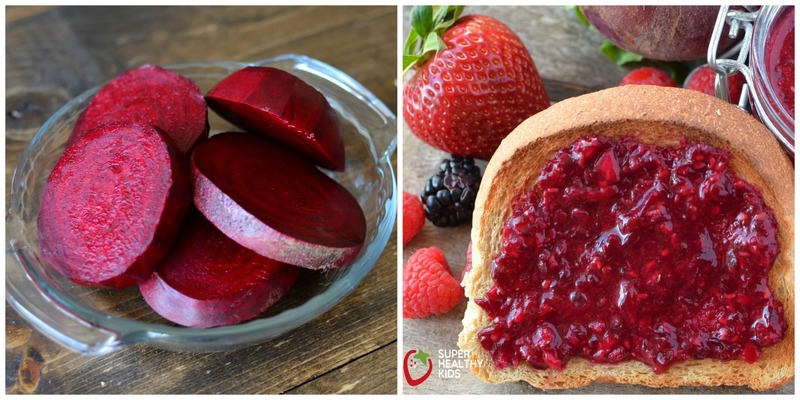 Can you believe the color in beets? The brilliant red is from the phytonutrient, betacyanin. Betacyanin can protect against cancer by inhibiting cell mutation. Many kids enjoy beets roasted. Mine haven’t gotten there quite yet, but blended up in a dark red smoothie, in soup, or made into jam is our favorite! Full details on making the jam here. Cabbage can be eaten raw or cooked! Incorporating more cabbage into your families meals is great because it’s an excellent source of vitamin K, vitamin C, and fiber. The sulfer in cabbage is also beneficial in helping your liver to neutralize toxic substances. The simplest way to serve cabbage, is to use it in place of a tortilla. We’ve wrapped all sorts of foods into a cabbage leaf! Above, we took a cabbage leaf, and filled it with some leftover rotisserie chicken, avocado, black beans, and cherry tomatoes. We also enjoy shredded cabbage in a salad, like this sweet cabbage salad here. Kale! 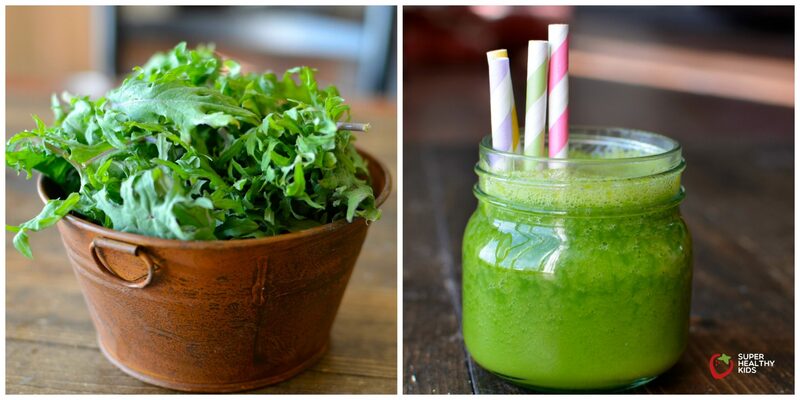 Kids love kale cooked, frozen, or blended. Like cabbage above, kale contains sulfur, vital for liver function. Except kale has the highest concentration of sulfur than any other veggie. We use kale to make ice cream, smoothies, popsicles, and chips! I haven’t had a kid yet that has turned me down for any of those. A favorite variety of summer squash among kids is zucchini. The mildness of zucchini makes it perfect to include in so many different types of recipes. From chocolate cake, muffins, pancakes, chips, or even imitating pasta! For zucchini pizza above, we sliced off the top, lengthwise. Topped the zucchini with pizza sauce and mozzarella, then baked in the oven until the zucchini was soft and tender. This zucchini was super tiny, so it only took about 10 minutes. The bigger the zucchini, the longer it will take to cook. Pierce with a fork, and if it’s soft, it’s ready. Kids love peas! I’m actually surprised by how many parents tell me their toddlers will eat frozen peas straight from the bag! I think it’s hilarious and adorable. 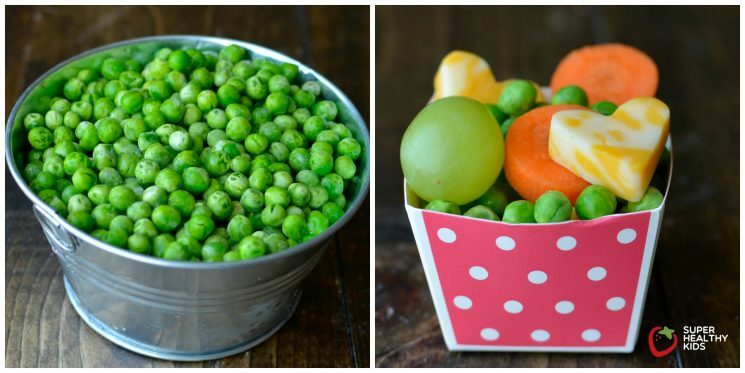 Rich in several B vitamins, green peas are important for metabolism of fats, proteins, and carbohydrates. We call the snack above, a finger salad! 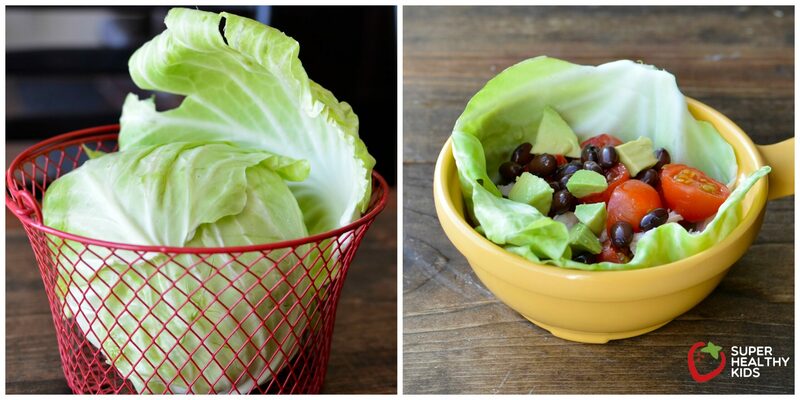 Kids can pick up the container, and eat this “salad” with their fingers, no forks required! This one simply had grapes, cheese, carrots, and peas. Here’s a different finger salad we posted on instagram. And there you have it! Don’t give up if you feel like your kids aren’t eating veggies. 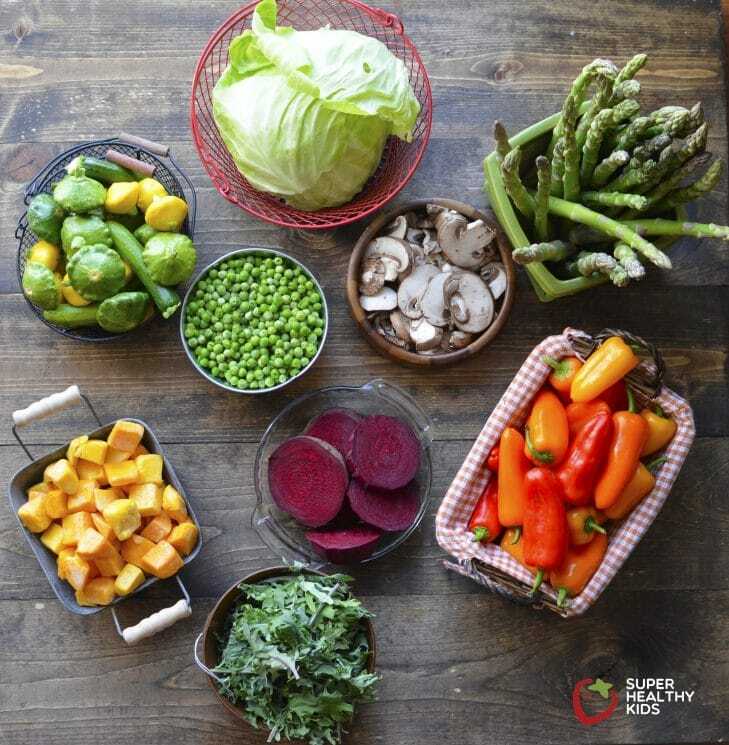 There are so many different veggies to try, with a million more kid friendly ways to prepare them. 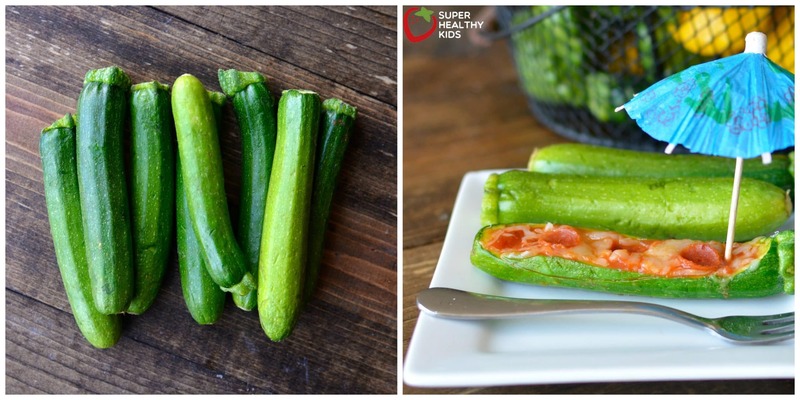 Let us know in the comments what veggies your kids like that surprises most people! Great site. Thanks for the nutritional information. Check out our web site to see my daughter and I prepare healthy meals. She is a great eater because she gets right in there. I feel it’s teaching her life skills. My kids are those kids who actually prefer their peas frozen. 😉 They eat (or at least tolerate) most of the vegetables on this list in one form or another. Feeding kids is an adventure, that’s for sure! These are great ideas. Thank you! 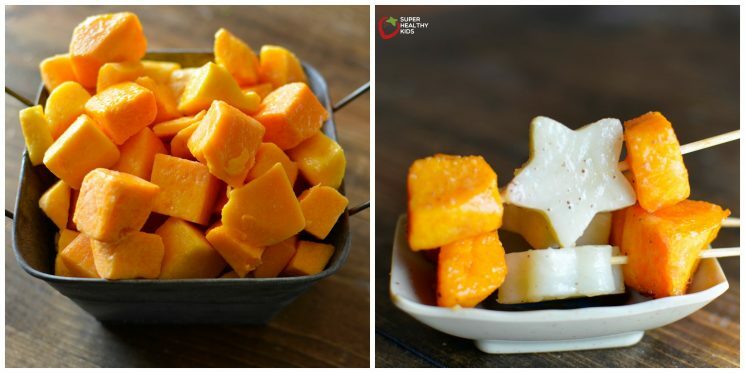 How did you cut the veggies into shapes? We have some very tiny shape cutters but they are just too small for veggies. Peas are a legume, not a vegetable. Stephanie, that would actually depend on your method of classification. As you remember from biology, there are a variety of ways to classify plants. In the nutrition world, you can classify plants botanically, by their nutrients, and by their culinary use. You can classify peas as a protein, but according to the USDA, they can also be classified as a vegetable because of their fiber and nutrients like folate and potassium. My 7 year old Granddaughter will not eat most of what is on your list. She does however love broccoli , tomatoes, cucumbers beans , peas and pickles. No dips though. My kids love to take the stem off of a whole mushroom, fill it with homemade dressing or tomato sauce, and put the stem back on before eating. We also eat a lot of roasted savory sweet potatoes and green smoothies. I have to sneak the veggies in to most of the meals so my kids will eat them. Hi Tell me how do you make kale into icecream sounds good .